Girl is NOT a 4 Letter Word: Salty Little Sliders Is A Must For Your Daughters Book Shelf. Salty Little Sliders Is A Must For Your Daughters Book Shelf. 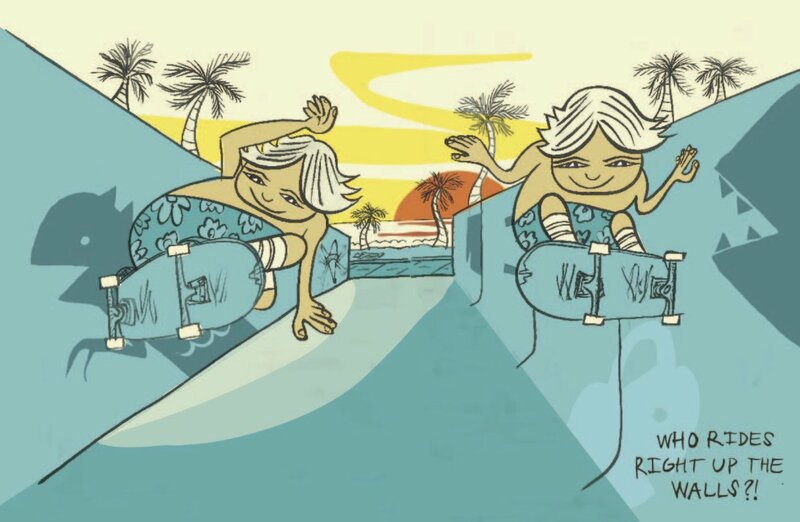 We love fun new books that show girls surfing or skateboarding - especially those that are geared to all ages. Here is one of our new favorites! 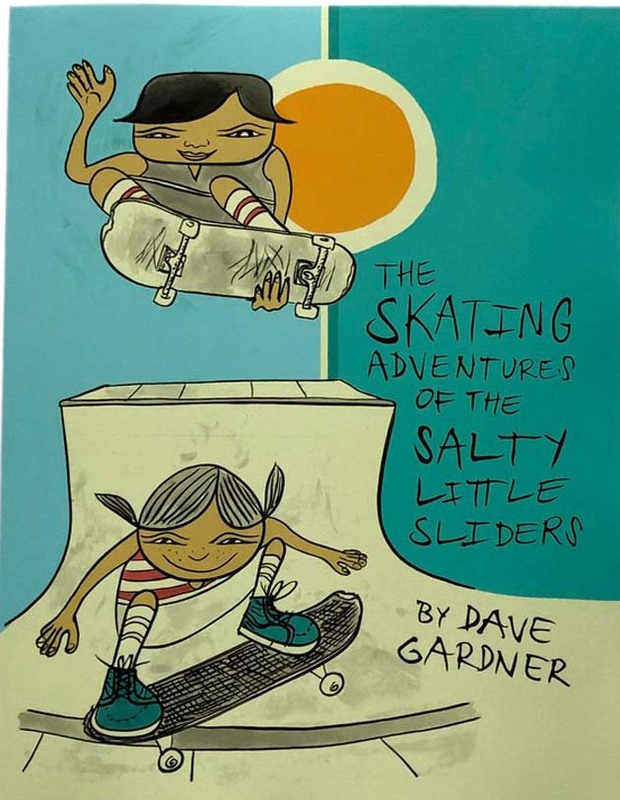 The Skating Adventures of The Salty Little Sliders is a collaboration between artist Dave Gardner and Salty Little Slider creative director and founder Stacy Forrester. The story follows four friends, Sunny, Moon, Finn, and Koa on a day filled with skate adventures in neighborhoods, backyard pools and skateparks. The book asks questions like "Can one move be the beginning of another? ", "Can anyone of us push the limits of all of us?" and more. 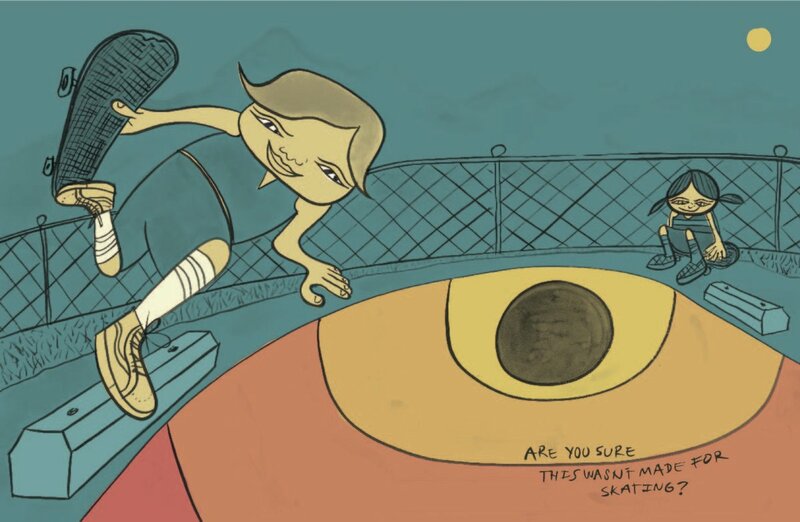 Great way to start conversations with your girls and a great way to look at skateboarding as well. The illustrations are absolutely gorgeous and every page is chock full of action and color. We guarantee that you won't want to put it down. The adventures the kids have in the book are also about sharing joy and stoke with those around you. It also speaks to the importance of supporting one another with kindness and respect. 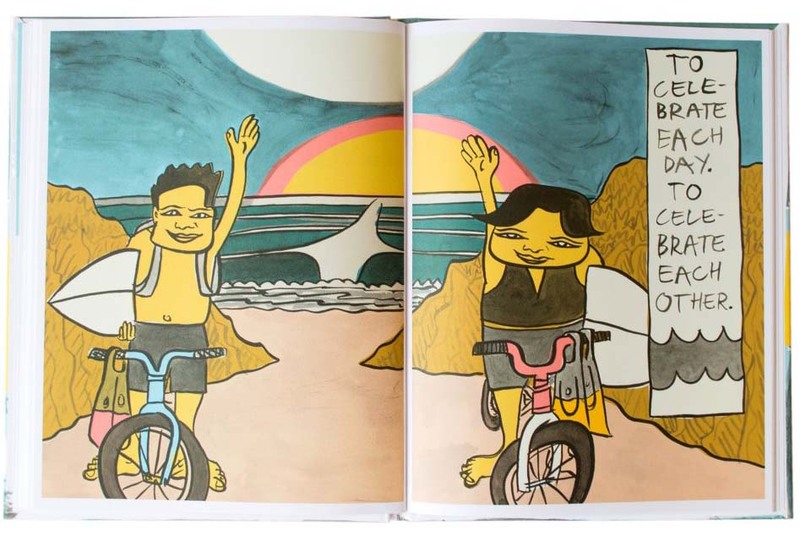 There is a hardback book featuring The Salty Little Sliders that focuses more on their surfing adventures - it's pretty awesome too. 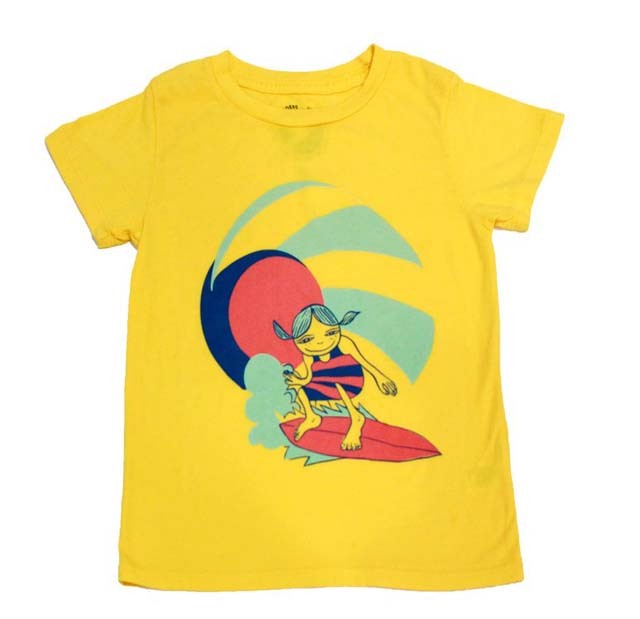 There is also a cute clothing line for kids that's available in their online shop (and in their fun store, Sawyer Land and Sea Supply, if you live near Santa Cruz) that features the characters in the book - our favorite is the "Sunny Solo Tee"!